It’s been long Since I reviewed any hair care products. I personally don’t experiment a lot with my hair products as I am pretty satisfied with the ones I use on a regular basis. 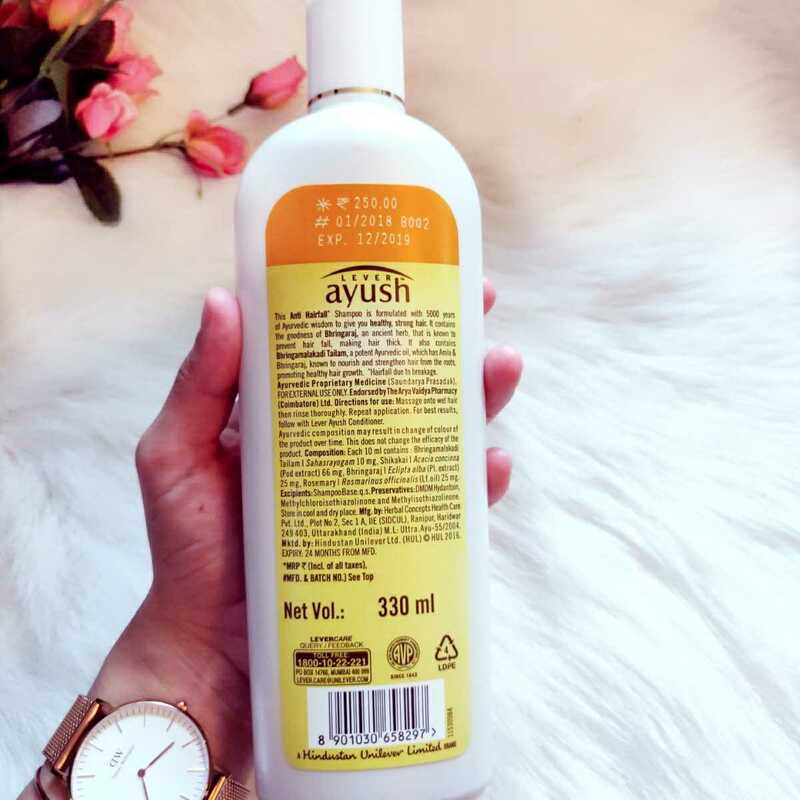 But today I will be reviewing a shampoo from Lever Ayush which is ultra-affordable and claims to solve major hair problems. Keep scrolling to know if it stands by its claims? 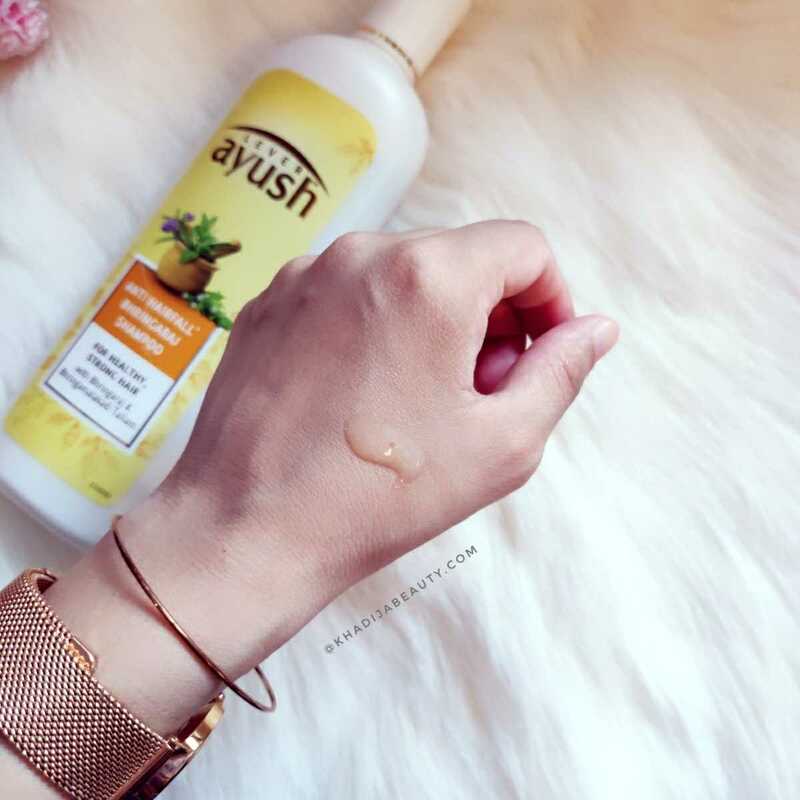 A hair-care solution rich in natural ingredients, Lever Ayush Anti Hairfall Bhringaraj Shampoo is formulated with 5000 years of Ayurvedic wisdom. The Ayurvedic properties of Bhringaraj prevent breakage and promote hair growth while Bhringamalakadi Tailam is known to nourish the hair from the roots. Bhringaraj- An ancient ayurvedic herb that is known to promote hair growth and improve hair quality with its unique hair nourishing properties. Bhringamalakadi Tailam – A potent Ayurvedic oil, which has Amla & Bhringaraj, known to nourish and strengthen hair from the roots, giving you long and strong hair. It comes in a good quality plastic bottle with a flip open cap. All of the necessary details and ingredients are mentioned on the label. How’s the consistency, color, and fragrance? How is the shampoo? Is it effective? Let’s get into the main part of the review now. I was introduced to this shampoo by my sister who has been using it for a long time. She was praising a lot about it and asked me to try. So I thought why not to give it a shot! And to be very honest, yes I liked it. Here is the effectiveness of this Lever Ayush Anti Hairfall Bhringaraj Shampoo. No matter what your hair type is, you can definitely try this and see. My sister has gone through several bottles of it and I liked it as well. 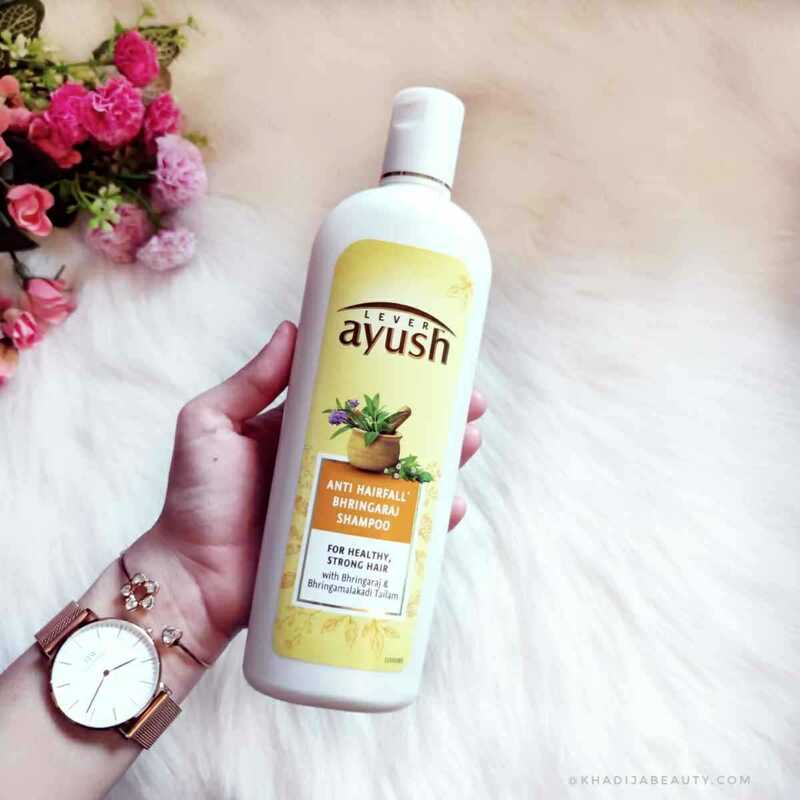 This shampoo has Ayurvedic herbs infused in it that are beneficial for hair growth and strength. Bhringaraj being one of the hero ingredients is well known to control hair fall and dandruff. Besides that, it has other hair benefits too. This shampoo didn’t accentuate any damaged hair of mine as well. I am totally blown away by their quality and the quantity they offer at such an affordable price. Lever Ayush has a couple of other shampoo variants too. I have used their shikakai variant also but it was not as good as the bhringaraj one. I felt Shikakai variant made my hair dry whereas Bhringaraj & Bhringamalakadi Tailam variant is more hydrating and works really well for hair fall & dandruff too. I feel this is one of the most underrated shampoos in the market. I even feel this as a brand in itself needs to be more popular because I have used their moisturizer almost 2 years back and totally loved it. 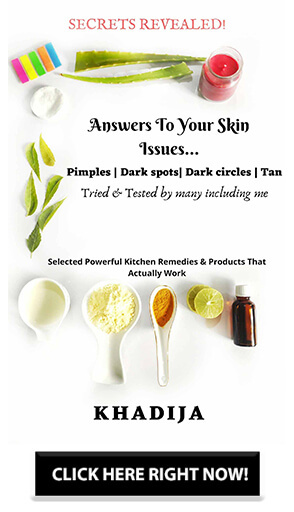 I have talked about it in one of my morning skincare routines in the past. That was again available at a cheaper price and I have used 2-3 tubes of it. Doesn’t require a conditioner as this shampoo is hydrating enough! © 2019 KHADIJA BEAUTY. All rights reserved.